TEKKEN TAG TOURNAMENT 2 | SDTEKKEN.COM - TEKKEN News Resource! TTT2 Prologue Comb Video By Dragonken! Hungarian combo maker Dragonken has got his hands on Prologue early, and has released some awesome combos! Click above to view! TTT2 Prologue Day 1 Combo Video By Kane & Rip! First featured on Level Up Your Game, Kane and Rip together have made the first TTT2 Prologue combo video, brilliant job guys! Check the video out by clicking above! Hori TTT2 Prologue Real Arcade Pro 3! 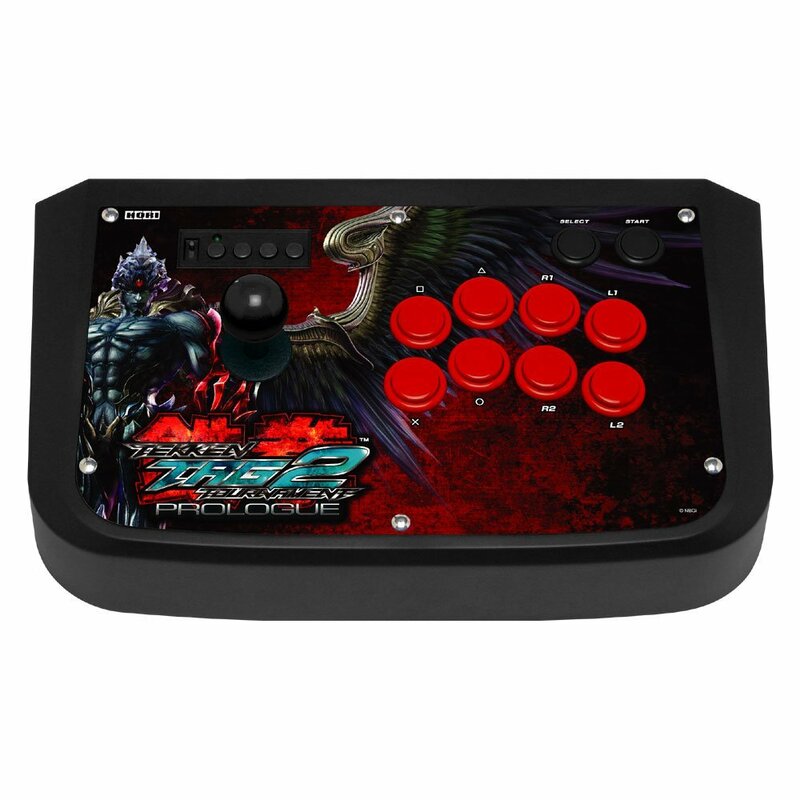 Amazon Japan has put up a listing for a TEKKEN TAG TOURNAMENT 2 Prologue arcade stick by Hori. The stick is a Hori Real Arcade Pro 3 for the PlayStation 3 and features artwork exclusively from TTT2 Prologue & TEKKEN Hybrid. The reskinned HRAP3 is available for preorder on Amazon Japan for ￥ 9,801 ($127.20 USD as of today’s exchange rate) and is expected to ship when TEKKEN Hybrid is released in Japan on Dec. 1. 2011. Stay tuned for more arcade stick info! TTT2 30X Lee b+2~f By Bappara! This is just mad, with KYSG Deep Theater doing this a while ago, Bappara steps it up a notch with 30 Lee b+2~f!! Click the video above to view! P.S. Save some combos for console release guys! You are currently browsing the archives for the TEKKEN TAG TOURNAMENT 2 category.